Commentary on a cabinet reshuffle which may or may not happen. “Theresa May could lose half of London councils in spring elections,” the Evening Standard proclaimed this week. For some reason this prediction, from leading Tory election analyst Lord Hayward, was gleefully lapped up by the Standard’s editor, one George Osborne, who splashed on it. The party faced the “fight of their lives” to hold on to Wandsworth LBC and Westminster City Council – the bluest of jewels in the Tories’ London crown (the sapphire boroughs? ), he said. Only Bexley, Bromley and Hillingdon LBCs are safe (Kensington & Chelsea RBC, for obvious reasons, is anyone’s guess); even Barnet LBC is very vulnerable to Labour advances. This all sounds very dramatic – but LGC will wait for the predictions of our trusted psephologists professors Colin Rallings and Michael Thrasher this spring before contemplating painting our council control map red. Indeed, as Lord Hayward himself noted in his Standard interview, the Conservatives are likely to do better in the rest of the country than in the capital. But, even beyond the government hardly setting new bars for popularity ratings, all is not well in Theresa May’s administration. A sense of paralysis remains; ambition, including that of our own Sajid Javid – who sought £50bn of borrowing to tackle the housing crisis – is being thwarted by a lack of money and majority. Ministers (with the possible exception of, dare we say it… Michael Gove) are offering little indication that they have a vision for what a post-Brexit Britain looks like. And, as the current winter crisis in the care system emphasises, public services are creaking after seven years of austerity. Change is required. Theresa May looks set to resort to every prime minister’s favoured means of demonstrating change (or rearranging the deckchairs on the Titanic, as every shadow minister will no doubt term it): the cabinet reshuffle. This has partially been forced upon her by the resignation of Damian Green as first secretary of state just before Christmas. It has been widely speculated that Jeremy Hunt’s Chinese water torture at the Department of Health will come to an end and he – as perhaps a rare senior minister in whom Ms May sees no threat – will be the man who replaces Mr Green as the PM’s right-hand man. Those with long memories will recall that under the Cameron administration, tarnished and weary health secretary Andrew Lansley had to be cast aside to be replaced by the voter friendly Mr Hunt. He successfully and remarkably neutralised health as an issue for the Conservatives at the 2015 general election. How times change! Much of the reshuffle speculation involves shifting levels of influence between the various ministers responsible for negotiating and implementing Brexit, especially with regards to Boris Johnson. However, there could be other changes that will have a more significant immediate impact on local government. According to the Sunday Times, the aforementioned Mr Javid is “vulnerable, but May’s determination to put housing at the heart of her domestic agenda could save him”. The LGC briefing has previously recounted speculation last summer of how Ms May is not the communities secretary’s greatest fan. However, after her election embarrassment, the PM had little choice but to keep anyone who could possibly cause difficulties within her rather uncomfortable tent. It is probably fair to say transport secretary Chris Grayling – another minister named as possibly facing the sack – will not be excessively mourned by local government. However, local government may be somewhat aghast that there is speculation that perhaps its two greatest friends at the cabinet table could be lined up for the exit door. Greg Clark, the former communities secretary now seeking to implement a more local focus on industrial strategy, has been mentioned as potentially being on the way out, with the FT noting reports that Mr Johnson could take on some of his remit, in a more Brexit-focused role. The Mirror’s take on it was that the Remainer Mr Clark needed to be shifted to keep an appropriate balance between Remainers and Leavers within the cabinet. 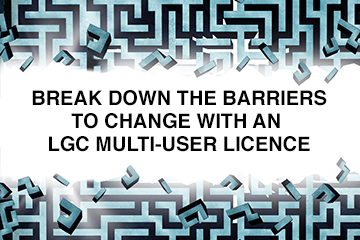 LGC is perhaps more interested in the balance between localisers and centralisers – and Mr Clark most definitively belongs in the former category. And Justine Greening is also said to be vulnerable. It was widely noted last summer that there was little logic in having a grammar school sceptic as education secretary in the cabinet of a PM who supports more grammars, and now it seems the PM may be prepared to flex her muscles. Ms Greening has won much respect from the teaching profession for presiding over a period of calm in contrast to the dash for academies under her predecessor Nicky Morgan, or the war on the unions waged under Mr Gove. From local government’s perspective Ms Greening has taken a less dogmatic approach to children’s services intervention, with the dash for trusts to some extent abating. And when Ms Greening’s position appeared under threat before the general election, Association of Directors of Children’s Services president Alison Michalska said it could “derail” talks on giving councils greater influence over academy and free school admissions. Of course, much reshuffle speculation comes to nothing. And, in contrast to many reports, the Sun more recently predicted only minor Cabinet changes. Let’s not panic… at least until next week, when it’s set to happen. Ms May had a humiliating election and has lumbered from crisis to crisis. However, her position has strengthened. She surprised many by securing an initial Brexit deal and no viable candidate has emerged to challenge her. The prime minister may now believe that she has sufficient authority to risk a reshuffle – and she clearly needs to do something brave to change her fortunes. While there are many reasons why the PM needs to be bold, perhaps the polls should not be one of them. While Jeremy Corbyn’s appeal is perhaps greatest in London, in this year’s council elections Labour starts from a pretty highwater mark in the capital. The Tories don’t have that many councils left to lose. In other parts of the country it is far from clear that the Tories are doomed. Indeed, after the PM’s seven months from hell, a more apt question might be why are Labour barely a couple of points ahead in the polls? Cabinet reshuffle or no cabinet reshuffle, a change in Ms May’s fortunes or not, LGC would put money on there being no local electoral earthquake to prevent another year of Lord Porter (Con) at the helm of the Local Government Association. But, then again, unexpected things happen in politics these days. Andy Street (Con) has unveiled plans to raise an extra £8m for the West Midlands through council tax - the first mayor to present proposals for a precept.